Ever since the BBMP published a draft notification proposing to hike the property tax with effect from next financial year, there has been opposition for the proposal from various quarters. Citizen groups have termed the property tax hike as unscientific and non-essential. 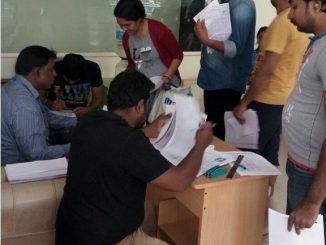 While the BBMP is gearing up to revise the property tax in less than two months time, the citizens groups comprising motley of residents welfare associations have been trying their best to convince the BBMP on why the tax hike does not make much sense. On September 8th, 2015, the BBMP issued a draft notification on revising the property tax as per the provisions of Karnataka Municipal Corporation Act (1976). Section 108(A) of the KMC Act allows revision of the property tax by minimum 15 per cent and maximum 30 per cent once in a block period of three years. Based on this provision, the BBMP which had not revised the tax in last eight years (it was last revised in 2008), came out with the draft proposing to revise the unit rates by 20 per cent for residential properties and 25 per cent for commercial properties. This revision of property tax has been done based on the guidance value of properties published by the Stamps and Registration Department in 2014. According to BBMP, though the guidance value has been revised thrice since 2008, the tax rates have not been revised and tax zones have not been reclassified. Therefore, BBMP has decided to revise the tax by rezoning in accordance with the 2014 guidance value. At present, the properties under tax net in BBMP are only 55 per cent. In terms of tax amount collected, it is not more than 45 per cent of the target. Therefore, the BBMP should bring all the properties under the tax net before contemplating to increase the tax. BBMP has not been tapping other major sources of revenue like advertisements, rental income etc that can come from over 3,000 properties that BBMP owns in Bengaluru. People are irked over non implementation of the 74th Amendment to the Constitution which envisages a mandated devolution of finances from the State government to the 3rd tier of the government. With the number of properties under BBMP, it has the potential to generate Rs 5,000 crore property tax every year. Revenue potential from advertising hoardings is Rs 6,500 crore, revenue potential from rental income is Rs 2,500 crore and expected income generation from devolution from the State government is Rs 6,000 crore. In total, BBMP can generate an income of upto Rs 20,000 crore from various sources. The BBMP is aiming at only the tax hike, without priority to these factors. Speaking to Citizen Matters, Ramesh Dutt, Vice President of Citizen Action Forum, said that a fortnight ago, a group of citizens participated in a meeting with the BBMP Commissioner, DC Revenue and the BBMP advocate to discuss the issue. “We are not empowered to tell BBMP not to hike the tax. It is their prerogative to hike the tax. We placed the statistics before them and asked if it was right on their part to hike the tax,” he said. Citing an example of BBMP’s failure in tax collection, Ramesh Dutt pointed out that last year Bengaluru International Airport had collected Rs 307 crore as advertisement hoarding tax, whereas the BBMP collected just Rs 17 crore! It is a clear indication of income leakage. When the BBMP’s annual expenditure as placed in the budget is anywhere between Rs 5,000 crore to Rs 6,000 crore, how will a small chunk of additional revenue raised through property tax help the administration? Though BBMP estimates to raise an additional Rs 700 crore revenue through property tax hike, Ramesh Dutt says, it will only end up raising only half of it, just like its annual tax collection target and actual collection. He also demanded that the BBMP verify the properties to ensure that every property owner ends up paying the tax. It is not fair to overburden the honest half of the citizens who regularly pay tax, while the other half are easily let go, he said. The last time BBMP did property verification was in 1977. Yet another concern raised by citizens is the steep hike in property tax that some property owners would face due to reshuffling of tax zones. For example, the areas in outer Bengaluru which might have been underdeveloped in 2007 and were part of ‘F ‘ zone, are developed now and are added to ‘B’ or ‘C’ zone. Automatically, the property tax will be hiked by 50-60 per cent in these areas due to increase in guidance value. Citizen Action Forum is mulling over taking up a legal fight if the BBMP proceeds to increase the tax. Sridhar Pabbisetty, CEO of Namma Bengaluru Foundation too says that the BBMP’s decision to hike the property tax is neither scientific nor systematic. “Properties in BBMP limits have not been enumerated over the years. In such a case, why should the honest taxpayers bear the brunt?” he asks. Further, he argues that even the CAG report has accused the BBMP of having no control over its expenditure. “BBMP legally has the right to hike the tax. Considering the speed with which the city is growing and its infrastructure requirement, the need for tax hike is acceptable. If we want development, there should be good tax collection too. In fact, Bengaluru has the lowest property tax rate compared to other cities,” points out Ashwin Mahesh, an urban expert. He says that while hiking the tax, the BBMP should tell people about its additional expenditure and how the money will be spent. If this is not done, people tend not to accept the hike. BBMP must improve its tax collection, if it genuinely intends to improve the revenue, he feels. Rajya Sabha MP Rajeev Chandrasekhar agrees with it. “The city’s finances need more transparency on how the money from the property tax payers is being used, how public assets are being used or misused – before the Government can justify any increase in property tax,” he says. He is of the opinion that the government is making no attempts to address issues like tax evasion, revenue leakage and not monetising public assets. Amidst the opposition from public, BBMP is firm on hiking the property tax. “We have had discussions with citizens and we will consider their suggestions too. But, the property tax hike is inevitable as we intend to garner an additional Rs 700 crore through the tax hike. It will lessen the burden on the cash-strapped BBMP,” said BBMP Commissioner G Kumar Naik. On asked when will the final notification be issued, he said “at the earliest.” “We have to convene couple of meetings before finalising it. But, we will ensure that the revised tax is introduced from April 1st,” he said. To a query on whether the tax rate in the final notification will be the same as that in the draft, he declined to comment. A research on “Property Taxation in Indian Cities: A comparison of Delhi and Bangalore,” by Simanti Bandopadhayay, a Senior Fellow at ICRIER, points out at the factors that curb the revenue collection. Though the research report hails BBMP for its tax reforms and setting a benchmark, it also categorically says that if the tax base is not estimated properly, coverage would be low, which results in lower revenue collections. “High rates of tax can also lead to poor compliance. Absence of accurate sales data because of under-reporting on property transactions makes valuation difficult. Higher transfer duties, inefficient monitoring of the transfer tax department to check the authenticity of the sales value declarations and illegal practices in the property markets are the most important factors resulting in under-reporting of property values. Enforcement problems play a major role in under-collection of property taxes,” the report states. Property tax rate is the least in Bengaluru, compared to other large cities in India, says Urban Expert Ashwin Mahesh. In most of the cities including Bengaluru, Mumbai and Delhi, tax assessment is linked to the market rental or capital values. Capital value is the probable price that would have been paid for the property at the date of the valuation. Where as guidance value is the property rate fixed by the government based on the facilities and infrastructure in a locality. The guidance value of the property based on which the property tax is calculated, is largely dependent on the market or capital value. If the guidance value is closer to the market value, higher the tax rates and it will add up to the revenue of the municipal administration. There is a lot of difference between property rates in Bengaluru and other cities. According to property listing website 99acres.com, the minimum residential property rates (capital value per sq ft) in Bengaluru is Rs 2,400 (RR Layout) and the maximum is Rs 22,400 (Ashok Nagar). In Mumbai, the minimum property rate under residential category is Rs 3,000 (Khalapur) and maximum is as high as Rs 72,200 (Walkeshwar). The property rates in several areas in Mumbai are 5 digits, according to 99acres.com. As far as Delhi and NCR region is concerned, the minimum residential property rate (capital value per sq ft) is Rs 1,000 (Ajmeri Gate) and the maximum is Rs 32,200 (Anand Niketan). Since the average market value of the property in Mumbai and Delhi is higher than that in Bengaluru, the property tax too is higher. Unlike in Bengaluru where property tax assessment is done based on the guidance value, tax assessment in Mumbai is done purely based on capital value system which further increases the property tax amount. While Bengaluru is raising property tax by 20 % after a gap of eight years, Mumbai municipality is again in the process of hiking the property taxes by 40%, according to reports. BBMP is also planning to send officials to verify false declarations under self-assessment of tax, to the properties measuring over 5,000 sqft. In addition, reports say that solid waste management cess will be increased and property zoning will be revised. How much property tax do you pay? What are you getting in return? ‘Tax hike is fine, but where will the extra money go?’>>> It will goto increasing salary of already bribe fattened BBMP corrup employees… Middle class can no way afford a house in there own city..
 Owners of properties do not indicate the actual usage of the property.  Tenanted properties are shown as owner occupied.  Commercial properties are shown as residential property.  Reshuffling of zones should be based on actual status of development.  Property verification as on2016 should be done.  Proper control on expenditure required. False bills, high rates by contractors, unnecessary works (like resetting foot path slabs, drains, etc) bad quality of works and redoing expenditure. Bad designs of infrastructure like pedestrian under / over bridges not used should be avoided.  Unnecessary staff should be removed.  Performance of officials should be reviewed periodically.  Property owner may show less built up area. Documents such as; sale deed, rental agreement, lease agreement, encumbrance certificate, etc should be verified. Are we missing the bus?  Bus transport (BMTC) is not us d by commuters.This is because that travel by BMTC buses take longer journey time.  Only solution is Rapid Rail transit by Metro, Mono Rail and L.R.T.  BMTC should use mini buses on heavy traffic areas and not big buses which cannot move easily on congested roads.  Bus Rapid system possible only if it is planned in new suburban developments.  Stating that tripling bus flect will remove 5 to 8 lakh vehicles from roads is not correct as it is not possible for the existing number of buses to move on congested roads in the City .  Car pools will not be practical in view of security risks in this city with increasing crimes.  Car pools as the commuters have different destinations will not be convenient . BBMP should first Make property identification card to all the property owner then see the change the property tax collected amount will become double here the problem hardly 50% of the people are paying the tax and the BBMP tax collector are only interested in tenanted property where they make some adjustment and get the money as bribe.